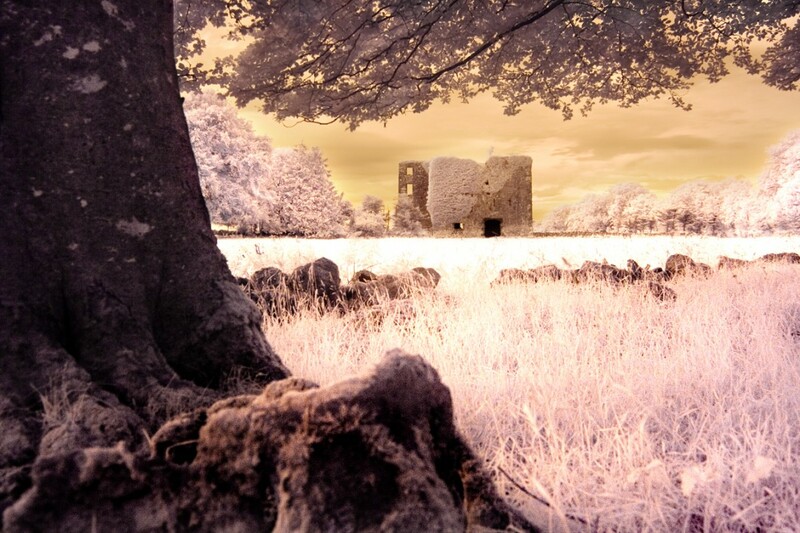 This photograph of Moyne Castle was taken in March 2008. Moyne Castle is a tower house build on the Black River on the Galway/Mayo border sometime in the 16th century. It is a significant square tower with a spiral staircase which is largely still intact. David MacJonyn Blake was owner of Moyne Castle in 1574. It was later awarded by confiscation to Ulick, Earl of Clanricarde in 1585. George French was occupant in 1678, and it was leased from William Earl of Clanricarde to Thomas Blake 1683. It remained with the Blake family until 1750 when they moved to Merlin Park on the edge of Galway city. Martin K. Blake resided there until 1838, when it was let to Patrick Henry Lynch. The Blake interest was later sold to Joseph Burke and Paul Ward in 1853.